Is there anything new under the sun? Or is there anything even real? What if the Evangelists for the incarnate Son of God are actually to be taken seriously? The progressive self-image of modern-day “diversity” displays a remarkable case of amnesia. One is struck by how editorial spin today simply recycles past crises, such as the “reset” efforts of pagan Rome in the time of the late-4th century St. Ambrose. Or by the way modern identity politics actually mimics the contradictions of sectarian Islam as carried forward from the 7th century. Today we have such novelties as a ghost-writer archbishop who cobbles verbatim his own writings (with nary a footnote) into the final and confusing version of a recent exhortation issued by the head of the universal Church. Of this archbishop it is said that he is uniquely skilled in reconciling discordant positions into higher insights—either enlarging or breaking the first principle of human reasoning: the principle of non-contradiction. In earlier times we might find ourselves standing alongside the Roman civil servant-turned Catholic bishop of Milan, St. Ambrose. Much like our own times, the fading empire surrounded him and his flock, inside his Milan cathedral, with the demand that the Church contradict itself by tolerantly opening its doors for use by Arian heretics. Christianity also was to shoehorn itself into a pantheon of restored pagan niches—all to resuscitate the multicultural uniformity of pre-Christian cosmopolitanism. Today’s New World Order is not so new after all. Formative of future history, the barricaded Ambrose and the laity were steadfast, and created for the first time a clear line between the irreducible domains of Church and State. (Today, however, clarity is often shunned and sacrificed to ambiguous footnotes). Then comes the collage religiosity of monotheistic, big-tent Islam. The text of the Qur’an (unlike the Gospel) explicitly prescribes both peace and jihadist conquest. Tolerance comes, but only after submission. The 12th-century Al-Ghazali explained the notion that even philosophical and theological truths can legitimately contradict one another—in the same way, he said, that a horse’s back hoof may (or may not) fall into the same print as the front hoof. Today, in the Church, do we now hear a modern-day echo in the notion that doctrinal truth can be divorced from pastoral exceptions (just as under secular law physician-assisted suicide is an “exemption” from homicide laws)? With the secular State separated—and fully divorced—from any truths higher than itself, a residual veneer of “tolerance” still mimics the lost reality. The periodization of history and the myth of Progress block our view of recurrent and deeper “types” at any point in history, reflective of our constant human nature. As such a type, consider first the primitive exposure of unwanted children to the elements; and then consider the United States Supreme Court and its refusal (Roe v Wade, 1973) to even “speculate” against what is now the metastasized throw-away culture of abortion. Consider, too, the most recent (and Islam-like!) fatwa to redefine “marriage” itself (Obergefell v Hodges, 2016) as a minority residue within a “tolerant,” brave-new-world of gender theory. In pagan and pre-Christian Rome, the litmus test for conformity with the zeitgeist was a pinch of ash tossed by Christians before a pagan idol; today in the post-Christian West it’s a dab of frosting on a compulsory “gay marriage” wedding cake. Such brevity is welcome; however, “creativity” alone can be mistaken by some as code language for forgetting much else, and then for even substituting our creative and calculated “decisions” in place of better-grounded moral judgments. It was only twenty-five years ago that we heard from St. John Paul II that “the commandment of love of God and neighbor does not have in its dynamic any higher limit, but it does have a lower limit, beneath which the commandment is broken” (Veritatis Splendor, n. 52, emphasis added). And that the Church’s pastors duty to “insist(ing) that the right of the faithful to receive Catholic doctrine in its purity and integrity must always be respected” (n. 113, italics in the original). Maybe even consistency between still-received doctrine and pastoral practice? 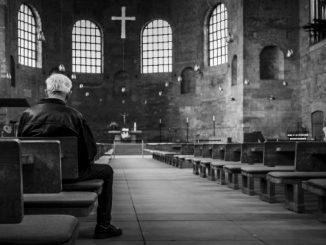 Given this lasting Encounter, at the center of all human history, do the laity now notice when they find themselves members of a Church too often reduced to a clerical chessboard? Chilean-gate, civil remarriage-gate, Letter-gate, and now, with Communion for spouses in split marriages: Germany-gate. But what’s the fuss, the Eucharist is just a tribal and congregational symbol anyway. Right? The ghost of Martin Luther is reset into the 21st century. How might real human “creativity” remain centered on the interior life even as it leavens the world, steadfast in morality, and remembering of who we really are? For the “field hospital” Church, who are the gatekeepers? Are they careerist spin doctors perhaps attired in a few cardinal-red surgery gowns, and only too eager to tag remembered truth as untutored “dissent” coming from an isolated and disposable “minority”? Stack the deck and take a vote; is this the new—and ever old—“paradigm shift”? What would be the future for such a surely hypothetical, secular/Fabian strand of “gradualism” once we no longer do or clearly remember what we believe but believe only what we do? 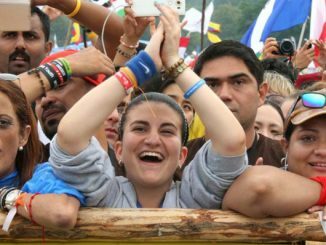 Is the Eucharistic Church to remain a hierarchical communion (Lumen Gentium, Ch. 3, Prefatory Note), or more of a Roman-style pantheon of national conferences of bishops, or maybe only a schismatic and flat “congregational theocracy” more like Islam? 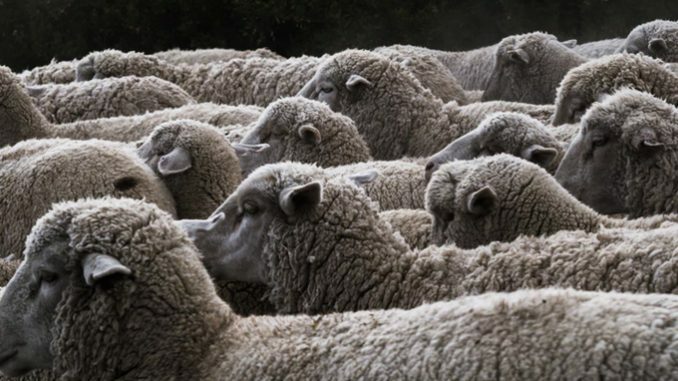 The “smell of the sheep” is one thing; the smell of wolves in sheep’s clothing would be another. In conclusion: “Jesus Christ, the same yesterday, today and forever” (Heb 13:8). 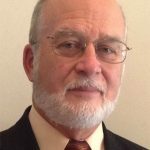 Peter D. Beaulieu earned an interdisciplinary doctorate in urban and regional planning from the University of Washington (1975), is a member of the Society of Catholic Social Scientists and author of Beyond Secularism and Jihad? A Triangular Inquiry into the Mosque, the Manger & Modernity (University Press of America, 2012) and A Generation Abandoned: Why 'Whatever' Is Not Enough (Hamilton Books, 2017). Peter D. Beaulieu is correct that when it comes to good and evil there’s nothing new under the sun. Paradigm shifts are nothing more than ancient backsliding clothed in piety. Clerical black betwixt wolfish grey and sanctimonious white. The Muslim philosophers Al Ghazali and Ibn Rushd on variation between doctrine and practice had noble cause seeking to accommodate strident Islam with the West by diluting stridency. Cardinals W Kasper R Marx Tucho Fernandez have ignoble cause in variation between doctrine and practice seeking to accommodate the planet by diluting truth. This new gospel is nothing more than old debauchery that preceded “Jesus Christ, who is the same yesterday, today and forever”. “A great mystic”? Based on … what? Pope Francis, and his co-Pope Cardinal Walter Kasper, and the “Cardinals” and “Bishops” and “key members” of what Austin Ivereigh calls “Team Bergoglio” do NOT believe in evangelization. 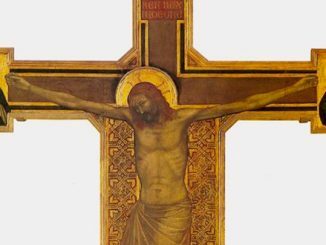 “Salvation” – in “the Kingdom of God” is “the unreserved approval of every person in the whole world.” (Walter Kasper, Jesus the Christ, 1976, p. 87…re-issued in 2011…and taught in “Catholic” seminaries and colleges world-wide). So the Great Commission” is erased. In its place – for Pope F and Kasper et al – is their new post-Catholic and post-Christian cult of accommodation. How well must the church be organized in order to properly effect Lay evangelism? First, strong, consistent and healthier leadership. We love Francis, but he may be getting too old for this very demanding role. But, the clerical hierarchy seem to ignore physical ability when choosing the new Pope. Age should be a serious concern. The current College of Cardinals is an average age of 75 1/2. The youngest is 60. How does the church select a Pope from this age group? I believe that Popes are elected for their accomplishments, not their potential. Moreover, the church should communicate our message to the secular world. What confuses many, myself included, is the child abuse dilemma where the word “cover up” overtakes the words “never again”. Action is lacking when a Mexican Priest can be transferred to the US with the worse track record of rapes and child abuse and nothing is done. The Cardinals of Mexico City and LA suffered no accountability. How can we say “welcome home” when the house is leaking? Dr Beaulieu has hit the nail on the head. As far as Francis’ mysticism is concerned, I am truly mystified. What I can see, however, is this: While both John Paul and Benedict did not have the best judgment in regard to personnel (John Paul inherited a lot of bad people, while Benedict actually appointed not a few), this Pope has consistently punished good people and has gathered around him (consciously) the worst possible: Kasper, Marx, Sorondo, Mariadiaga, Coccopalmerio, Baldisseri, Fernandez, Vigano, Ricca, Spadaro. Corruption and heresy. The list reads like a litany of shame. And then we have the exiled, humiliated or marginalized: Piacenza, Pell, Muller, Sarah, Burke. They should probably feel honored to be outcasts in this pontificate. I feel an article coming on!